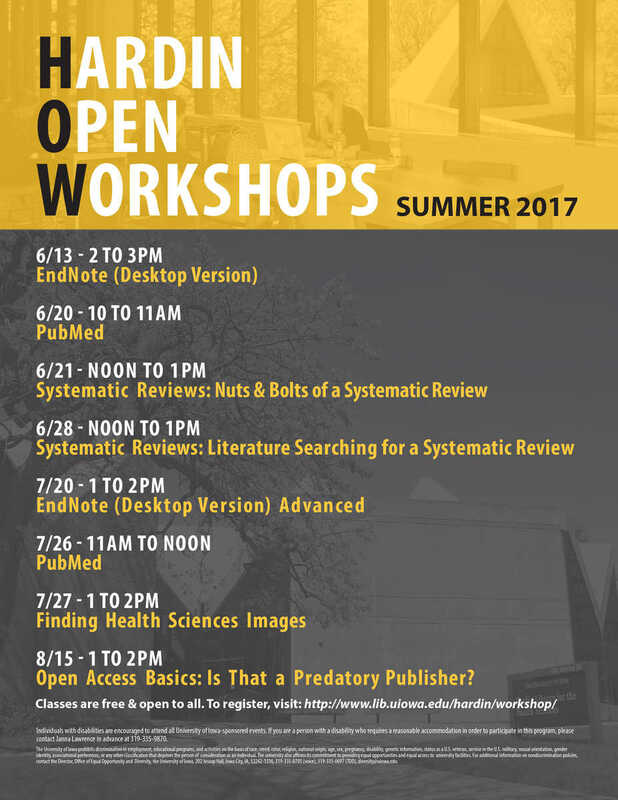 PubMed Workshop Tuesday, June 20, 10-11am | Learn something new this summer! Register online or by calling 319-335-9151 . Individuals with disabilities are encouraged to attend all University of Iowa-sponsored events. If you are a person with a disability who requires a reasonable accommodation in order to participate in this program please call Janna Lawrence at 319-335-9871 .